At Real Coffee, we offer two delicious drinks using coffee and milk pods for Dolce Gusto® machines – our Latte Macchiato, or a rich and creamy Cappuccino, featuring slight notes of chocolate. Our Dolce Gusto® compatible Cappuccino and Latte Macchiato pods contain only the same taste test-winning coffee that we are known for in our Nespresso® compatible capsules, while our milk capsules consist of pure milk powder and a little sugar – with no artificial ingredients. Note and Creamy Milk Foam You can now make your own delicious café-quality Cappuccino or Latte Macchiato at home – without spending a fortune. 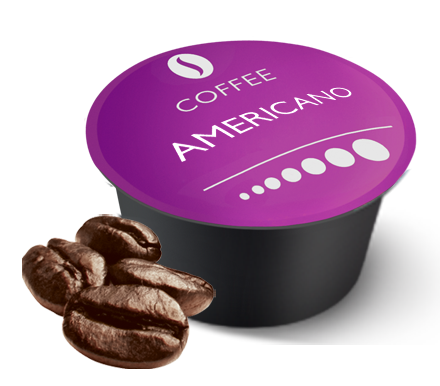 We use quality ingredients for our Dolce Gusto® compatible pods. 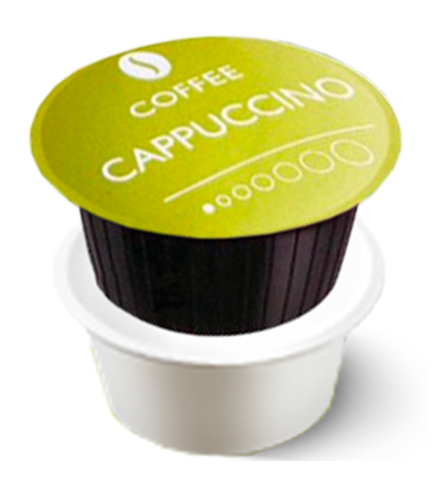 In our Cappuccino and Latte Macchiato pods you will find a perfect blend of Arabica and Robusta beans, ensuring your cup of coffee always has a strong, intense flavour, as well as a milk capsule that provides the creamy layer of sweetened milk foam. 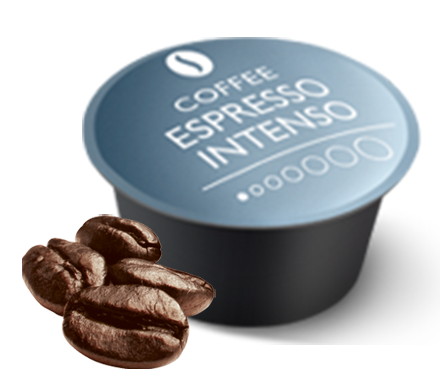 The coffee in our Dolce Gusto® compatible Cappuccino pods has an intense body with hints of dark chocolate. 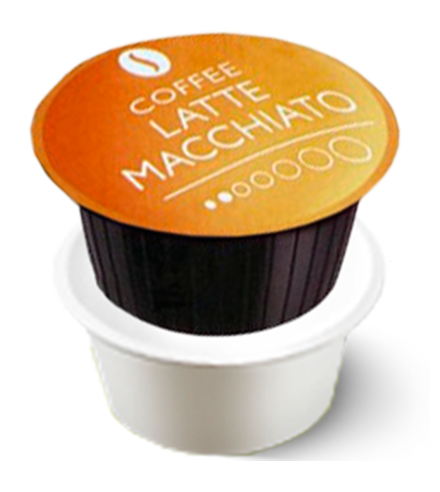 The coffee in our Latte Macchiato pods, on the other hand, has indulgent notes of sweet caramel and milk chocolate. 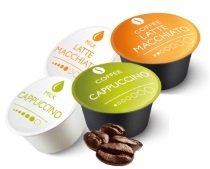 A key part of Real Coffee’s Cappuccino and Latte Macchiato varieties is our milk capsule. While it would usually take another machine to make the hot milk, it can now be done without the hassle. In Real Coffee’s Dolce Gusto® varieties, milk capsules are included, so you will receive a creamy and authentic milk foam from your Dolce Gusto® machine. Our milk pods are of the highest quality, as they consist of only milk powder that is produced from real milk, and a little sugar to balance the taste. You can enjoy the capsules even more, knowing that they are completely free from artificial ingredients.